TODAY, IMAGES SEEM TO WIELD unthinkable powerand are subject to unthinkable assault. Over the past decade, horrific reprisals for the publication of images of Islamic religious figures have become tragically commonthe latest episodes in Paris and Copenhagen being only the two most recent examples. And as this issue goes to press, we are confronted by near-daily reports of the ideologically motivated destruction of priceless archaeological sites in areas of Iraq and Syria controlled by ISIS. Yet there is a long history of figuration in Islamic art, one that belies the iconoclasm underpinning recent events. 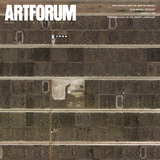 Artforum invited eminent scholar NASSER RABBAT to look back at this representational tradition and provide vital historical perspective on the highly charged questions of iconography, visuality, and cultural difference we now confront. 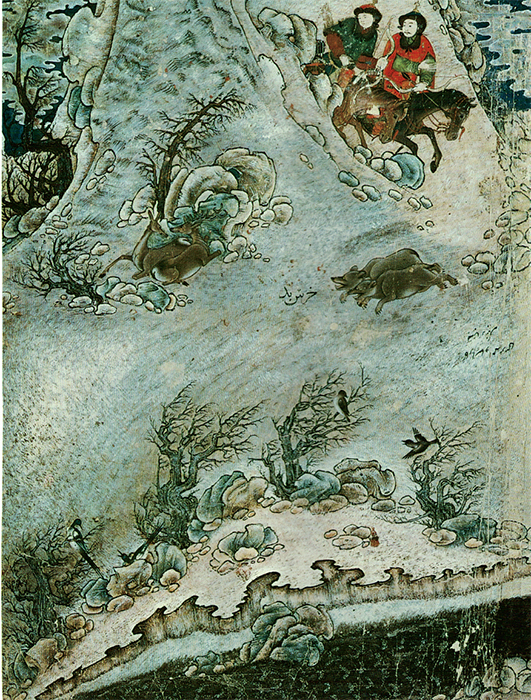 Ahmad Mūsā–, huntsmen in a winter landscape, ca. 1370, gouache on paper, 15 3/4 × 11 3/4". OVER THE PAST DECADE, the world has been repeatedly stunned by acts of violence purportedly rooted in a deep-seated Islamic antagonism to figural representationan antagonism especially directed toward the depiction of the Prophet Muhammad and his companions. From the bloody protests following the Danish newspaper Jyllands-Posten’s September 2005 publication of twelve cartoons mocking the Prophet, which left scores of people dead in many Islamic capitals, to the terrorist attack on the French satirical weekly Charlie Hebdo that left seventeen dead in Paris this past January and was allegedly unleashed in retaliation for the recurring publication of caricatures of the Prophet, Islam’s presumed ban on figuration has become accepted as a blanket explanation for those outbursts of deadly religious rage.